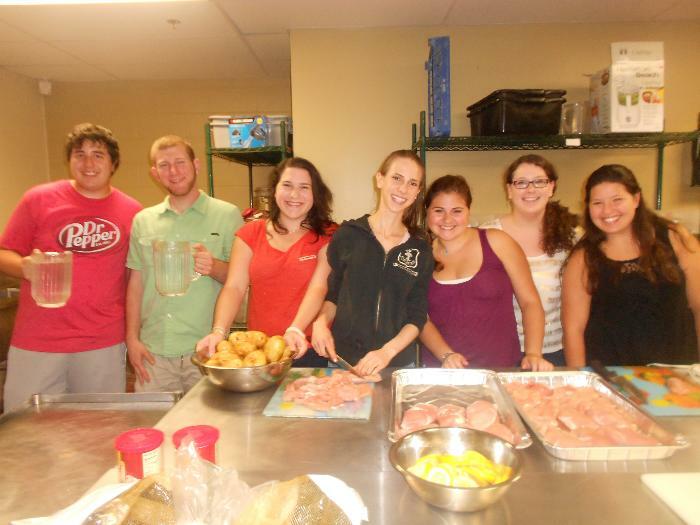 In order to continue to provide Shabbat dinners free of charge to students, a practice that increases attendance and encourages students to invite friends, URI Hillel seeks Shabbat sponsors. We invite you to make a $500 contribution to Hillel to fully sponsor a dinner, or a $250 contribution to partially sponsor a dinner. This covers the cost for a home-cooked meal for 30-40 students. You may make your tax-deductible donation securely online on the "URI Annual Fund: Hillel" donation page. Write "Shabbat sponsorship" in the gift instruction box under the "is this an honorary or memorial gift" section on the donation page. You may also mail a check to Hillel at 6 Fraternity Circle, Kingston, RI 02881 and write "Shabbat sponsorship" in the memo line.